Published Jan. 16 in the journal Science Advances, University of Wisconsin–Madison researchers describe the first mosquito-repelling compounds to be derived from the microbes. 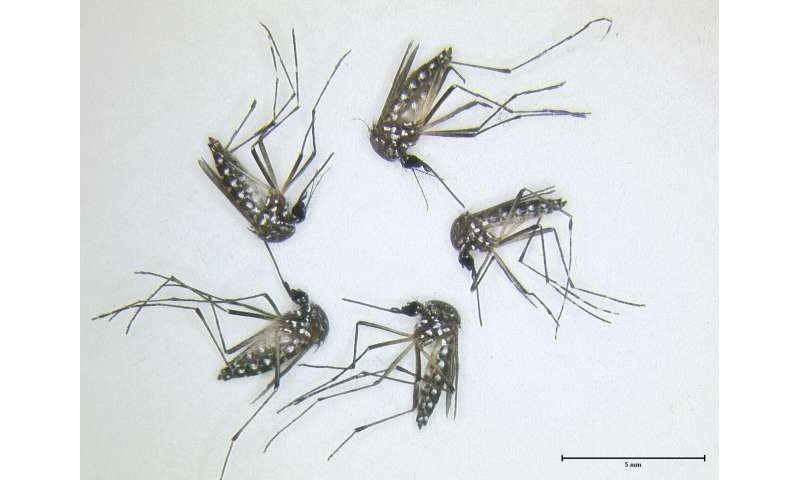 These compounds, purified from extracts from the bacterium Xenorhabdus budapestensis, appear to work at lower doses than repellents currently on the market, including DEET and picaridin. 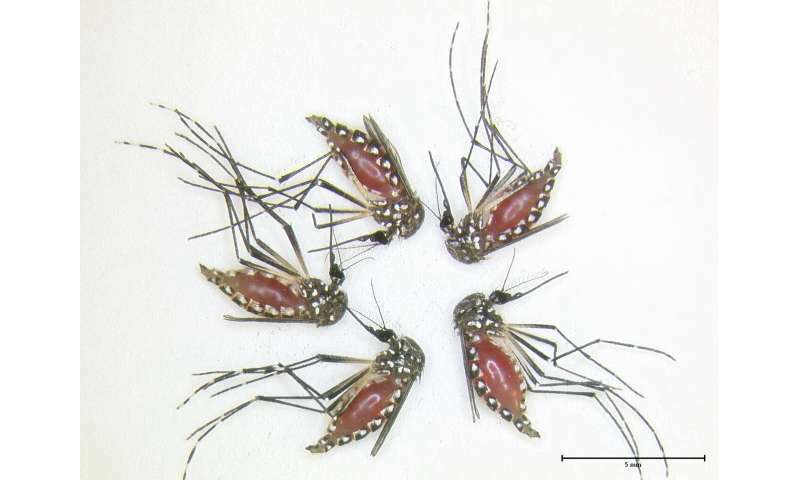 The study showed them to be effective against Aedes aegypti, Anopheles gambiae and Culex pipiens, mosquito species known to transmit diseases such as Zika, West Nile, malaria and chikungunya, diseases that afflict millions of people worldwide,. "We didn't come at it thinking we would find a repellent," she says. "It was a bit of serendipity." "If you can use less of an active ingredient in a formulation it may be less expensive," says Paskewitz, who with Kajla has filed for a patent related to this work through the Wisconsin Alumni Research Foundation (WARF). "I am itching to put it on my hand and put it in a cage of mosquitoes, but I can't do it yet," says Paskewitz. Additionally: "These compounds might end up being more effective against a wider array of biting arthropods," Paskewitz notes. "DEET works against ticks, but it's not as good as it is with mosquitoes. We will test the bacterial compounds against other kinds of biting insects and their relatives."